This study confirmed Chinese herbal medicines can reduce the risk of miscarriage in the early weeks of pregnancy. Two days after embryo transfer a group of women was administered a Chinese herbal formula renown to reduce the risk of miscarriage. Control group were not administered any hers. But both groups were on progesterone support treatment. Researchers found, that there was a significant reduction of miscarriages in the group taking Chinese herbal medicine. 23% of women in the progesterone only group miscarried, while in the Chinese herbs group this number was significantly lower – 13%. 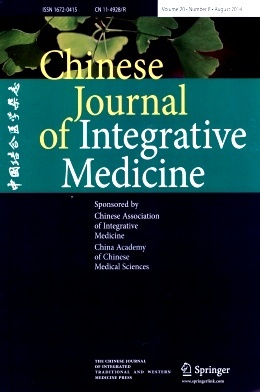 The study was published in the Chinese Journal of Integrative Medicine. Chin J Integr Med. 2006 Sep;12(3):189-93. Effect of Gutai Decoction on the abortion [miscarriage] rate of in vitro fertilization and embryo transfer. To study the effect of Chinese herbal medicine Gutai Decoction (GTD) on the abortion rate of in vitro fertilization and embryo transfer (IVF-ET). Observed were two hundred and forty-seven women having received IVF-ET and with beta-human chorionic gonadotropin (beta-HCG) > 25 IU/L on the 14th day after transferring. All were treated conventionally with progesterone 20 – 80 mg per day after transferring and if necessary the treatment was supplemented with Progynova 2 – 4 mg per day, with the medication withdrawn gradually from the 9th week of pregnancy till stopped completely. Among them 131 cases received GTD medication additionally, for 109 cases of whom the medication started from the 2nd day of transferring (taken as Group A) and for the other 22 cases from the 14th day after transferring (taken as Group B), the other 116 cases with no additional GTD treatment given were taken as the control group, with the medication lasting to the 12th week. The abortion rate in them was observed.